Family-run hotel with long tradition, excellent cuisine, wellness oasis, the best conditions for active vacationers & free entry to the CASCADE swimming pool! Welcome to the Hotel Anewandter in Uttenheim! 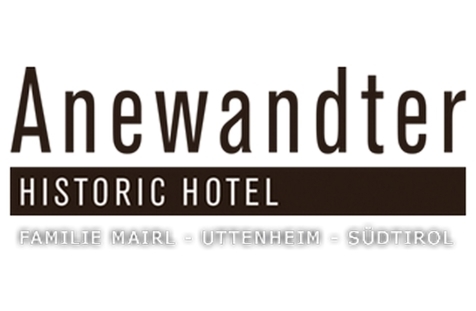 The Anewandter Historic Hotel, which has been run by the Mairl family since 1929 with much love and devotion, is located in Uttenheim, in the Mt. Kronplatz holiday region. The South Tyrolean traditions revives in the details and furniture of our house, without renouncing on comfort and modern amenities. Our guests are offered 80 beds in comfortable family rooms and suites, equipped with natural materials such as wood and with textiles of natural tones. Our traditional hotel is the perfect choice for a relaxing holiday in well-kept and inviting atmosphere. The rooms and suites each offer a bathroom with shower, WC, hairdryer, bathrobes as well as a flat screen TV with satellite reception, safe, minibar, free WLAN and telephone. In large part, they also offer a balcony, a sofa or a small living area. Every day, our chef Kurt and his team prepare refined dishes of the regional and international cuisine. We also give high importance to the choice of the ingredients and prefer local, fresh and seasonal products. Start your day right with our rich breakfast buffet. In addition to fresh bread, colourful fruit, muesli and healthy fruit juices, we offer various other delicacies. At dinner, you are offered 5-course-menus of your choice and a seasonal salad buffet. Our guests especially love our special dinners, the Tyrolean evening, the romantic gala dinner and the desert buffet. After a long hiking or bike tour, nothing is more beautiful than relaxing and recharging your energies in our spa oasis with Finnish sauna, herb sauna, steam grotto and Roman steam bath with aromatic scents. As well, we offer a fitness room, a Kneipp basin, a whirlpool, massage showers and a relaxation room. 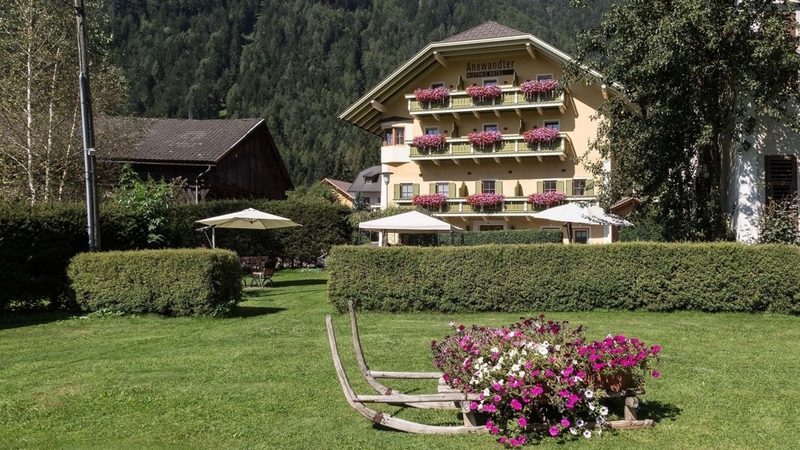 Our guests also benefit from a free entry to the CASCADE swimming pool in Sand in Taufers, offering for indoor pools, two outdoor pools, and a wonderful natural bathing pond, various saunas and beauty treatments. Sports lovers will look forward to countless cycle and hiking paths in the Ahrntal valley. In winter, skiing in the skiing areas of Mt. Kronplatz, Speikboden and Klausberg is an unforgettable experience. The Anewandter Suites take the term "vacation" to a whole new level. Warm wood, clear lines and natural colors create an Alpine ambience. The individual design of the suites with high-quality leather, natural Loden cloth and seasoned oak will turn your vacation in South Tyrol into a true wellness holiday. The living area of each of the suites is approximately 36 m² , each has a large bedroom with solid seasoned wood furniture and leather couch with natural Loden fabric, a spacious bathroom with shower, bidet and toilet, hair-dryer, bathrobes, 47-inch flat-screen satellite TV, safe, mini bar, free Wi-Fi, telephone and a balcony with panoramic view. The spacious family suites have a minimum floor area of approx. 62m² and offer plenty of space for up to 6 guests. The common vestibule, which connects both double rooms and the two separate bathrooms offer extra comfort and privacy. The bedroom with double bed and sofa bed, as well as the second double room are both equipped with a 32-inch flat-screen satellite TV, safe, mini bar, free Wi-Fi, telephone, most also have a balcony. The individual bathrooms have a shower, WC, bidet, hair dryer and bathrobes.